The Court of Appeal, sitting in Benin on Friday upheld the election of Gov. 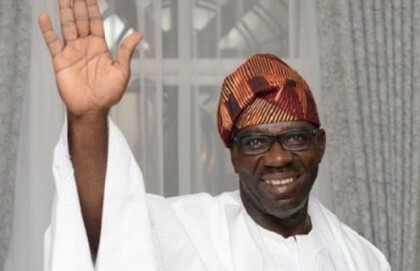 Godwin Obaseki of the All Progressives Congress (APC) as the duly elected governor of Edo. The court dismissed the petition filed by Pastor Osagie Ize-Iyamu, candidate of the Peoples Democratic Party (PDP), as lacking in merit. Ize-Iyamu, through his counsel Yusuf Ali (SAN), appealed against the judgment of the Justice Ahmed Badamasi-led Edo Governorship Election Petition Tribunal, that affirmed Obaseki as winner of the Sept.28,2016 governorship election. Justice M.B. Dongban-Mensem, who delivered the judgment, said the tribunal was right to uphold Obaseki’s election. The judge said that the tribunal did a painstaking job, adding that the tribunal was right to dismiss Pastor Osagie Ize-Iyamu’ petition. The Justice Ahmed Badamasi-led three member Edo Governorship Election Petition Tribunal, dismissed Pastor Osagie Ize-Iyamu’s petition for lacking in merit. Badamasi held that PDP and its candidate failed in all fronts to prove the allegations as pleaded in their petitions. “The much talked about ticking and over voting by the petitioners have not been specifically proved beyond reasonable doubts. “And not calling witnesses to prove their allegations of corrupt practices and over voting was fatal to their case and is deemed to have abandoned their pleadings,’’ he held. Badamasi therefore held that “the petitioners have failed to prove their case with credible evidence to show that they are entitled to their pleadings’’. “Accordingly, the petition has failed and is hereby dismissed,’’ he said. The petitioners had listed INEC, Obaseki and the APC as first, second and third respondents. Ize-Iyamu had asked the tribunal to nullify the election of Obaseki and declare him winner, having scored majority of the lawful votes cast among other reliefs. He averred that INEC was wrong to have declared Obaseki winner of the Sept. 28 governorship election. Ize-Iyamu also alleged that the election was fraught with corrupt practices and over voting.